Maxi and Mitch are a sister and brother pair who are absolutely adorable. We’d like them to go to a home together as they are completely inseparable, and as you can see from the picture they love to cuddle up together. 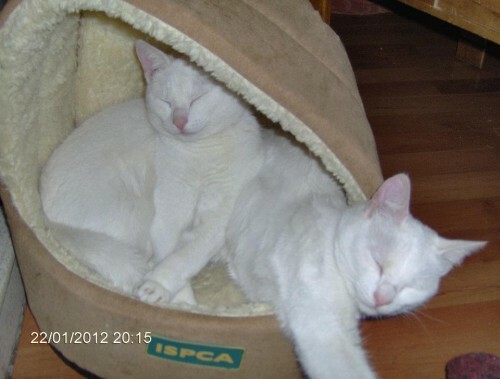 They are inside cats, and are very easy-going and affectionate.